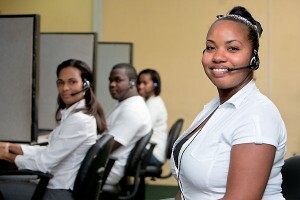 Clear Call Belize Ltd is a fully functional call center offering 24 hour services including inbound and outbound call services, data entry, data processing and quality assurance. 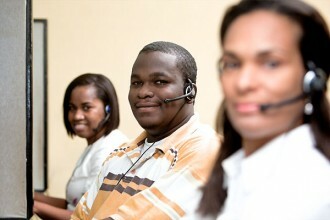 We provide high quality, reliable service with an emphasis on transparency and customer service. The official language in Belize is English, but our location in Central America has created a bi-lingual nation and hence Clear Call can offer services in both English and Spanish. Our staff reflects the culturally diverse population of Belize, but they speak English and/or Spanish fluently with a neutral accent. We believe in providing employees with a positive and friendly, but disciplined and focused work environment with financial and other incentives and opportunities for career advancement. As well as having a diverse society comprised of many cultures and languages, Belize also has a very diverse history, landscape, flora and fauna and boasts the largest barrier reef system in the Western Hemisphere. Considered part of both the Caribbean and Central American communities, Belize would be a strategic offshore site for any company seeking to expand their operations or reduce their operational costs. © Clear Call Belize Ltd.